Dr. Joe Schuchert and his team strive to treat their patients with the highest quality of care using the most advanced orthodontic treatment methods. We hope to ultimately give you a positive and memorable orthodontic experience, along with a smile that will last a lifetime. Serve the orthodontic needs of the Central Pennsylvania regional communities by providing the highest level of affordable orthodontic care through traditional and cosmetic methods embraced by all ages, from children through adults, with a signature of professional passion that will last a lifetime. 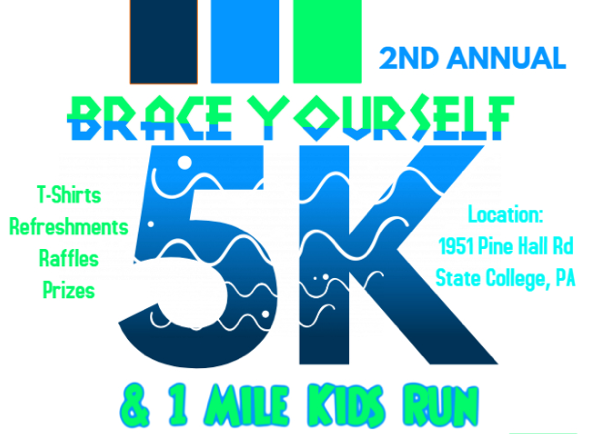 Sign up today for the 2nd Annual Brace Yourself 5K & 1 Mile Kids Run!